Stolwijk Gold Clematis: gold foliage and blue flowers. 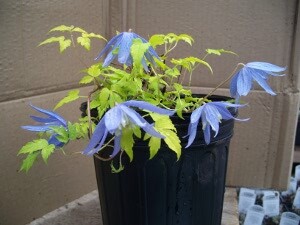 Clematis of a Different Color! Wouldn't this be awesome growing through a shrub?? ?